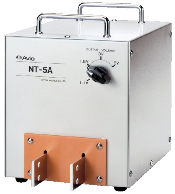 These AC spot welders are most suitable for welding thick plates and copper stranded cable, as it can adjust the weld time through a wider range than other stored energy type of welders. The lower peak current is less affected by dirt or stain on the work piece. These are very suitable for integration with automation. AIT builds all of our own electrodes for use in these and other welders that we provide to our customers. 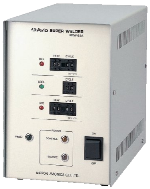 We can provide custom electrodes and solutions for your welding applications. 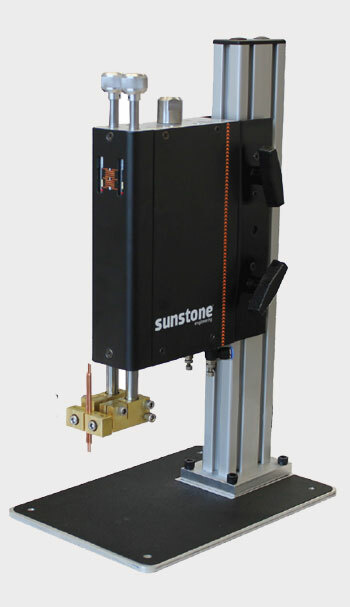 Suitable weld heads and other accessories are available for all the welders featured below. It is best to contact us and describe your welding application in detail, and allow our technician to work with you in determining the best power supply, weld head, and electrodes for your specific applications. 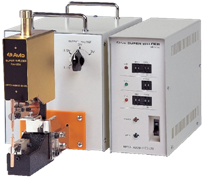 These AC spot welders make use of an internal transformer that provides ample power for many applications, making them ideal for resistance spot welding and seam welding. Both of these welders also make use of a microprocessor that allows easy setup and programming for complex welding sequences, such as linking different weld schedules together within the same job. 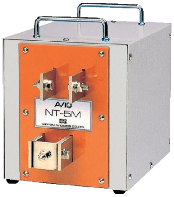 Either of these AC spot welders are capable of welding thicknesses up to 0.1 inch. 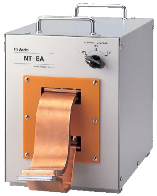 The seam welding function of these AC welders make them very popular. 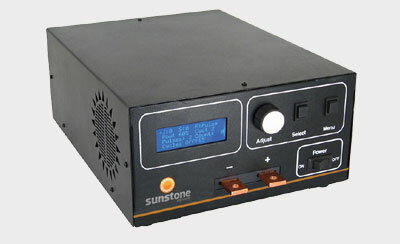 The internal micro controller allows for complex seam welding sequences. Possible Applications: Brazing, battery pack assembly, resistance seam welding, resistance soldering, and general resistance welding.